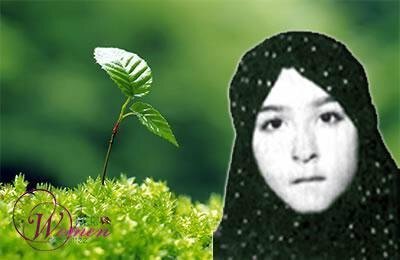 Fatemeh Mesbah, executed at the age of 13, is one of the symbols of the Iranian people’s struggle and Resistance for freedom. She is one of the eight members of the Mesbah family who gave their lives in the struggle. Fatemeh was born in 1968. She was only three years old when her father was arrested and imprisoned by the Shah’s SAVAK. This is when this family as a whole got engaged in the struggle for freedom against two dictatorships. In 1977, her father was released among other political prisoners under popular pressure built on the Shah. Fatemeh was 9 years old. She began distributing flyers and participating in anti-Shah demonstrations. After the 1979 revolution and the overthrow of the Shah, she continued her freedom-loving activities with the student supporters of the People’s Mojahedin Organization of Iran (PMOI/MEK) and actively informed the public and exposed the repressive policies of the new dictatorial regime that had just seized power. On June 20, 1981 — only 2.5 years after the 1979 Iranian Revolution — Khomeini ordered his troops to open fire on the peaceful demonstration of half a million people of Tehran and the dark era of mass executions began the next day. This was a turning point which made everyone decide for their lives. The choice was clear: giving up and saving one’s own life or continuing the struggle at the price of one’s life. And the young Fatemeh chose the second option. All the sentences in her last will bespeak of her deep awareness and consciousness of the nature of the regime and the dangers that awaited her in the struggle she had chosen. She was also very confident in victory. Fatemeh Mesbah was arrested with her cousin, Khadijeh Massih, in a demonstration on September 16, 1981, and taken to Eshratabad Prison in Tehran. And she was executed the next day on September 17, 1981.